Ertugrul CEVHER was born at 1953 Eskisehir Turkey. He has been carving since 1971, since his teenage years. During his education years he was helping the Master Carvers to learn how to carve. After he finished high school he gave his full time to Meerschaum Carving and improved him self as you see. He always used the best quality meerschaum stone and always made the best carvings all over the years. CEVHER has a son and a daughter also now he has two grandchildren. I would greatly recommend you possess one of his excellent pipes if you like to experience what I was trying to express. MeerschaumMarket is his offical licenced e-bay outlet. MeerschaumMarket's exception would be that I have a direct contact with him to call his special attention to my requests as he kindly since now. copyright MeerschaumMarket.com (631) 546-7475. All Rights Reserved. 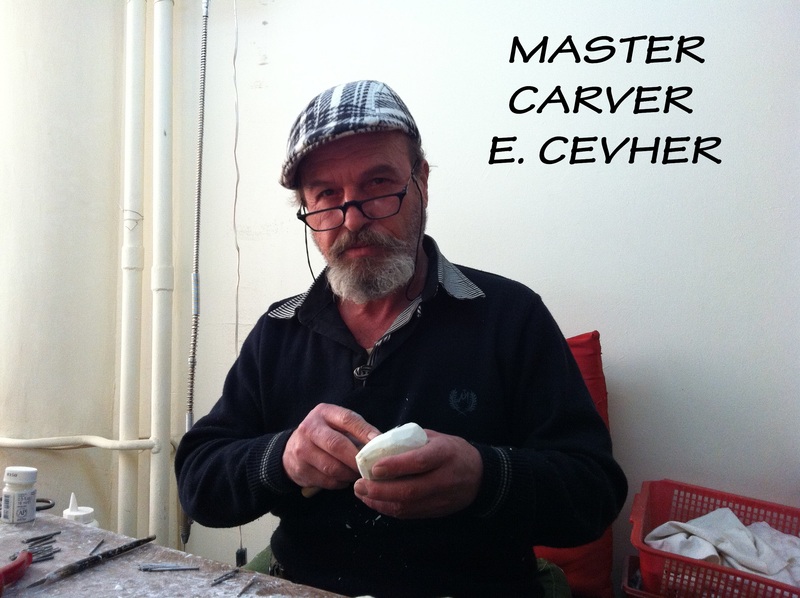 Welcome to Meerschaum Market, the best place to obtain meerschaum pipes made by master carvers. Our Meerschaum pipes, block meerschaum, white pipe, cigar holders, 海泡石斗, MEERSCHAUM PFEIFE, and CAO MEERSCHAUM are shipped in one business day. They are also gotten directly from the manufacturer which helps ensure you get the highest quality product. meerschaummarket.com does not sell tobacco related products to anyone under the age of 18, nor do we sell tobacco nor cigarettes.